“Well, how did that happen?”, appears to be the most common response to the outcome of our recent General Election. Compared to the widespread expectations when the Election was called of what the result would be, what leadership lessons can be learned from the campaign? Firstly, if someone is telling you that everything looks certain, that you’ll ‘win’ easily, that you’re set for huge gains, never, ever believe them – and I really do mean never! Straightaway consult others, especially those of opposing views to yours, and build a thoroughly complete ‘picture’ of the environment in which you are competing – something every world class leader I have ever met does habitually. Then trust your knowledge, experience, and, perhaps most importantly, your intuition in making your strategic decisions. Remember, as soon as you enter into any formal competitive environment, including elections and business (e.g. : bidding processes), the gaps between the competitors will narrow, and, usually, continue to do so over the entire ‘competition’. So, make it your decision, not someone else’s. 2) The E-word rules, OK? This means, perhaps most fundamentally in leadership, is that you engage those you are leading, integrating them into your plans. In the Election, just look at which party leader proved to be the most engaging with the electorate, and what happened to their share of the vote as a result (not least, as they were almost written off when the Elections campaign began). Exactly the same applies to any leadership position in any other sector, and especially in business: as a leader, you must be able to thoroughly engage everyone you are working with (team members, peers, superiors, etc). 3) Simplicity trumps complexity. Every time! As a leader, you need to always be able to communicate quickly, easily, and effectively with everyone. Keep it simple (use simple words), and keep it clear (use easy to understand language), and it will be effective. 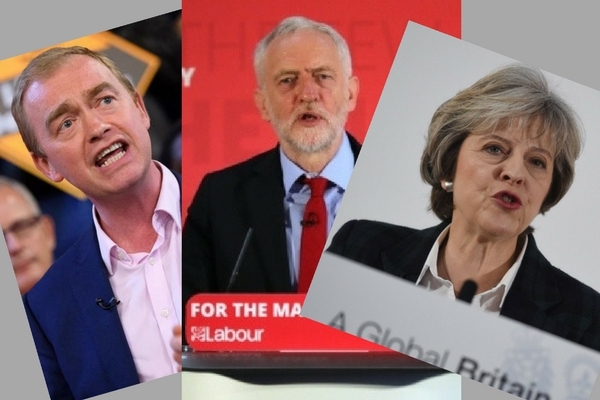 During the Election campaign, which part leader did this best? Everything that glitters is…usually too good to be true! The E-word (‘engagement’) rules, OK? Simplicity trumps complexity. Every time! © Adrian Malpass 2017. All rights reserved. Previous PostDecision-making (part 2): when design influences our decisionsNext PostWhat is the best communication style for you and your business? Easy! The simplest! The GlosBiz® story: learning the lesson of keeping things simple! What is the best communication style for you and your business? Easy! The simplest!